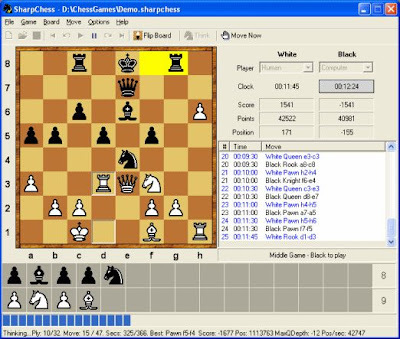 SharpChess is a free computer application that enables you to play chess against the computer. It plays a challenging, tactical and, I'm told, "fun" game of chess. SharpChess requires the Microsoft DotNet Framework version 2.0 (or later). No, the production in 2006. But maybe someone will like it?